This interview was originally printed in August 2016 Edition of the IdeaMensch. Where did the idea for Women’s Sports Safety Initiative come from? As a healthcare advocate, non-profit director, and former California State Assemblymember, I have dedicated over 20 years to public service, advocating for healthcare issues and women’s rights. One topic in particular that I am passionate about is concussion safety and during my time in the state legislature, I authored a number of bills focused on this topic, including AB 25, a concussion safety bill that placed California alongside Washington as the states with the toughest return-to-play laws for student athletes, into law. Additionally, I helped pass AB 1451 in 2012, which adds concussion training to the first-aid certification required of every high school coach. Despite progress made, I feel more can be done to raise awareness of and support efforts focused on concussion safety. An estimated 3.8 million concussions occur each year in the United States as a result of sports and physical activity according to the Centers for Disease Control and Prevention. 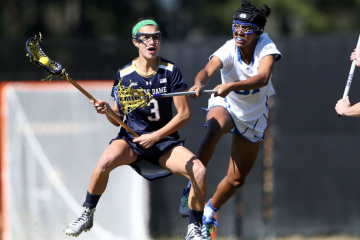 While sports-related concussions are thought by most to impact male athletes more significantly, research shows that women and girls suffer from a higher rate of sports concussions than men in similar sports. Additionally, of those athletes who experience a concussion, females suffer from more concussion symptoms and take a longer period of time to recover. Recently many states, schools, and sports leagues and organizations have created policies on concussion in youth and high school sports. While these policy efforts show some promise, more research is needed to better understand how gender impacts the frequency and severity of concussions, why female athletes are so susceptible to sports-related brain injuries and how to better protect female athletes from these injuries. That’s where the idea for the Women’s Sports Safety Initiative came from. The Initiative is dedicated to advancing the lives of women and girls by raising awareness of sports-related injuries and the unique factors affecting women’s susceptibility to and recovery from injury. Sponsored by the Silicon Valley Community Foundation, the organization serves to continue efforts to protect women athletes and ensure that they can be the competitors they want to be, without sacrificing their safety. My goal with the Initiative is to inspire more gender-based concussion research at the federal level, create more women centered education and raise awareness about the health consequences of head injuries. When I was in the state legislature, my day was much more structured. Now that I am working on non-profit projects and consulting, there is no typical day. But one thing I try to do each day is to go to the gym for at least one hour. This is tough to do especially when I am traveling for work, but I feel that I am much more productive if I can find some time to exercise during the day. The first step to bringing any idea to life is to define the problem that you are trying to address. I typically start with ample research to demonstrate the need for the new project or issue campaign. In some cases, if research shows other organizations are already doing similar work, it may be more efficient to work collaboratively with those organizations rather than creating duplicative programs. The second step is to develop a solid plan for fundraising for the organization or issue. People who are interested in working in the non-profit sector often bring passion and enthusiasm to the issues they care about, but it’s equally important to have a business plan that describes how it intends to achieve its goals in more specific details. I am very excited about the increase of women in leadership roles, especially leadership roles in Congress. In 2015, for the first time in U.S. history, three women candidates entered the race for the White House: Hillary Clinton, Carly Fiorina, and Jill Stein. While there are currently only 104 women serving in Congress (20 in the Senate and 84 in the House) out of a total of 535 available seats, I believe we will start to see these numbers increase. Having women as political leaders increases participation in our democracy and will hopefully inspire women in all sectors to take on more leadership positions. 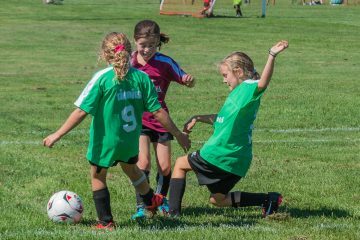 And, by increasing female representation in Congress, issues impacting women, including concussion safety, will be brought to the forefront and lead to better advocacy efforts on our behalf. Positive thinking. I find that sometimes when I start to have negative thoughts, I can get completely consumed by it. So one thing I try to do is work on solving the problem instead of hanging on to negative thoughts. This is harder than it sounds. But over the years, I learned that every problem is actually an opportunity to grow. All problems can be solved. I try to interrupt my negative thinking by reading. I like Tony Robbins’ books or I look for fun horoscopes or something inspiring to interrupt the negative thinking. Then I work on solving problem. I think having your own habit that helps you overcome stress and reduce negative thinking makes you a much more productive person. I had a challenging work environment many years ago where my boss was traveling almost every week and didn’t take the time to communicate feedback or set expectations. He was almost never accessible by phone or in person and directly managed more than 50 people, so we were all confused about who was doing what and what should be done due to the lack of communication. He also had a habit of avoiding any perceived conflicts or difficult situations in the workplace. While it was challenging at the time, I am grateful for this experience because it helped me to become a better manager. I definitely try to resolve workplace conflict and always communicate feedback to employees to ensure a positive and collaborative work environment. If I were to start again, I would join the air force, a military legal department or the CIA. I am passionate about giving back to this country and think one of these positions would be a great way to serve. A key to my success has been to face my fears and take chances and that is something I encourage others to do as well. I think taking risks is an opportunity to stand out and achieve something great. However, women are not exactly encouraged to take risks. In my culture we tend to view risk-taking negatively, often regarding it as dangerous and even unwise. After my failed State Senate campaign, many people told me I shouldn’t have taken the risk and run for office. While it’s true that some risk taking certainly doesn’t end up paying off, it is important to remember that some does. No matter why we avoid taking risks, doing so may be hurting us in the long run. What I know from my successes and failures is that success won’t fall in your lap. You have to actively pursue it. You have to be willing to take the risk. In my non-profit and issue advocacy work, getting community and political leaders to endorse your project or issue is critical to success. Also, securing third party validation is a great way to propel your cause. When I was 26 years old starting a national organization focused on Asian American women’s health, I was unknown to many established women’s health leaders, but I was able to secure the endorsement of Congresswoman Patsy Mink for the new organization. Congresswoman Mink was the first Asian American woman to be elected to the U.S. Congress and for four decades was a vocal advocate for women’s rights and for Asian Americans. Early on in the organization’s development, the congresswoman provided her support and helped established its credibility. I think I have unique insights that stem from the many facets of my life – as a girl growing up in Korea, as first generation Asian American immigrant, as a survivor of my sister’s depression and resulting suicide, as a women’s rights advocate, and as an elected official. Each of these parts of my life has provided their own set of challenges, lessons, successes, and failures and has helped me grow into the woman I am today. The most recent experience of failure is my unsuccessful California State Senate campaign in 2014. Although unsuccessful, I am very grateful that I had the opportunity to run for State Senate and participate in the political process. Despite many hardships and challenges, I’ve learned the importance of perseverance, especially when you believe in a greater purpose. For me, this purpose has been public service, social change and social justice – all those concepts that involve taking action to help others and making the world a better place. Unfortunately, I do not have one. If I did, I will be working on a business plan for it right now. I got a facial and neck massage – it seems to really alleviate strain from typing and texting. I recently switched from a Blackberry to an iPhone. People made fun of my Blackberry calling it a typewriter, but I have to admit I was addicted to the click-clacking keyboard of the device. Although I miss the red blinking light on blackberry phone, the iPhone is much better for opening attachments in emails as well as navigating Google maps. A book that has truly inspired me is Rachel Simmons’ Odd Girl Out, which ignited a long-overdue conversation about the hidden culture of female bullying. At age 26, I founded the National Asian Women’s Health Organization and served as the executive director for 10 years. While I received encouragement and inspiration from many individuals and organizations, oddly enough, I faced opposition from within my own Asian American women community prior to forming the organization. People were questioning the need for an initiative dedicated to Asian women’s health and were discouraging me from forming an organization that was specific to women, yet no one addressed their concerns with me directly. Though initially I did question my decision to start a project focused on Asian American women, I really wanted women have a voice and create an organization specifically for them. I was determined to move forward with what I knew to be important work. I am glad I didn’t quit because we created and trained a national network of more than 300 Asian women health leaders all over the country. During my tenure as executive director, the organization grew into a nation’s leading advocate for Asian American women’s health issues, changing attitudes and policies regarding this underserved population through research, public education and community grants programs. Rachel Simmons’ book opened my eyes to the tendency of females to not be as supportive of one another as we should be. Although I didn’t read Rachel Simmons’ book until I was much older, it did help explain what happened when I was 26 years old trying to get the support of other Asian American women leaders. Feminist leaders like Gloria Steinem and Byllye Avery were so important in shaping my own journey into politics and social change. As a young immigrant woman from Korea, I grew up in a culture that set certain standards for women and men. As I went on to learn more about many of the leaders of the American feminist movement, perhaps for the first time in my life, I was really excited about my own future. I spent years serving on Board of Directors of Planned Parenthood, National Organization for Women and Girls Inc. of Alameda County. Another person who has influenced my thinking is Tipper Gore. Although Tipper Gore was never seen as a feminist, she helped to raise awareness about mental health issues and served as role model for me and many others. I often thought of my older sister, who lost her life to suicide when she was just a teenager. I know she couldn’t ask for help because in our culture depression or any health problem is not something we talk about. Tipper Gore organized the first ever White House Conference on Mental Health where she discussed her personal struggle with depression. As a participant in this event, I was inspired by her to make a difference in the field of mental health.